1981 Chevrolet Corvette. 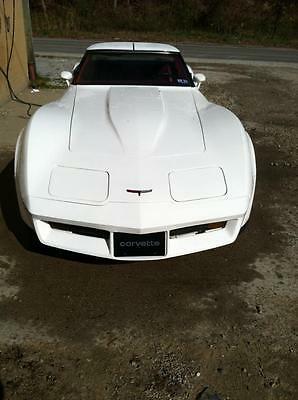 A good dependable, good driving corvette. Car has low miles, and you can tell. Has cold air, power windows, etc. New tires, and other new parts. Any questions, feel free to ask. 3o47five21221 or 3o42o6five895. Make me an offer on this one-of-a-kind loaded 2SS 6-speed with a new LT4 crate engine (installed with 1,325 miles on the car). I paid a little over 50k (MSRP $50,445) for it in June and invested an additional 20k (in parts alone) turning this car into a performance monster.This car is in showroom condition and the performance is unbelievable. It idles perfectly smooth and has perfect drive-ability. It makes over 605 horsepower and 633 ft. lbs. (SAE) to the wheels which means it's making about 711 horsepower and 744 ft. lbs. of torque at the crank!I can’t stress enough how unique this car is. It’s highly unlikely that you’ll ever see another 2016 SS with an LT4. 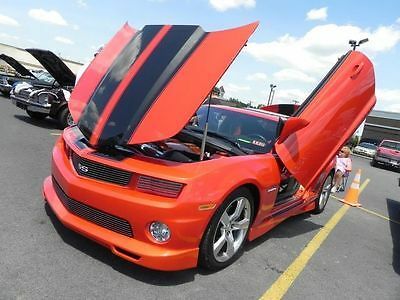 Lots of people slap superchargers on their LT1s, but this car is different. It has a full LT4 crate engine designed from the ground up by GM to be supercharged. 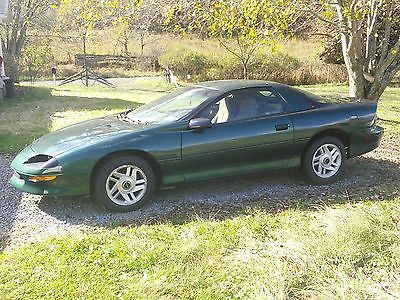 With a conservative ECM tune it performs way better than most supercharged LT1s ever will. All of the upgrades were tastefully done using brand-new GM parts. No expense or time was spared to make everything 100% right. 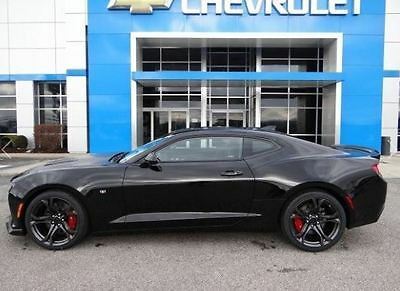 Here are a few highlights: 2016 Corvette Z06 dual-disc clutch2016 Corvette Z06 flywheel2017 Camaro ZL1 supercharger heat exchanger, coolant pump, hoses, hose clamps, etc.2017 Camaro SS 1LE rear Brembo brake calipers. These are the same shape and size that came on the SS, but for some reason GM puts gray calipers on the rear with the red 6 piston brake kit in the front. I replaced the gray calipers with the SS 1LE rear caliper so the color would match.Skip-shift deactivated in ECM. So you won't ever see a message for skip-shift much less have to actually shift from 1st to 4th. (unlike the hardware-based solution where you still see the message in the console)2017 Camaro SS 1LE forged wheels. These are factory GM wheels, not the MRR replica knockoffs.Michelin Pilot Super Sport tires (295/35/20 rear, 275/35/20 front). These are the best street car tires available, IMO, and they’re not cheap. If you think you might want to run 305s on the back, the wiring harness on the driver’s side rear wheel well has already been re-routed to accommodate the width of the 305/35s. Here are a few factory option highlights:6 Piston Front Brake Kit ($3,175 option)Magnetic Ride Control ($1,695 option)Power Sunroof ($900 option)Dual Mode Performance Exhaust ($895 option)Front End Splitter ($645 option)Navigation with 8" touchscreen ($495 option)Black Front and Rear Bowties ($145 option)The car is located in Fairmont, WV. Feel free to make arrangements with me to see the car. I have a loan on the car and the title is held locally by the Fairmont Federal Credit Union. I'm 34 years old, I am the only owner, and I have never abused the car. If you'd like to speak with me about the car, just ask and I'll call you or send you my phone #. I give you my word that this car is exactly as described. I would never intentionally misrepresent anything. The car is beautiful and once you ride in it, you'll have a gigantic permanent smile on your face. I'm fully confident you'll absolutely love the car, but if you're unhappy for any reason, I'll refund your deposit. *The Buy-It-Now price includes both the original wheels and tires as well as the '17 SS 1LE wheels and tires. If you only want one set of wheels and tires simply specify that in your offer.FAQsIs there anything wrong with the car? No. The car is for all intents and purposes a brand-new car. This isn't a problem, but one thing I would note is when the engine is cold the initial crank time on startup is occasionally a little longer than some people expect. This is common among all of the 6th Gen Camaros (and C7 Corvettes) with the new Direct Injection (DI) motors. These DI engines operate at up to 2,900 PSI of fuel pressure from a camshaft driven fuel pump. The engine has to crank to build pressure and until the fuel pressure reaches a certain threshold the computer doesn't kick on the fuel injectors. GM has the following published crank times:above 50 degrees -> up to 1.5 secondsbetween 50 and 14 degrees -> up to 2.5 secondsbetween 14 and -4 degrees -> up to 3.5 seconds Again, this isn't specific to this car, and it's not a problem in any way. I just wanted to point this out because the crank times for these engines occasionally do fall near GM's published upper-bound. I know it's tough to trust people on the internet. Please check out my feedback, call me, come and see the car in person, and whatever else you need to do to feel comfortable. Why are you selling the car? I currently have 3 vehicles, a new farm tractor, a four-wheeler, and a 4th vehicle on order (GM Order# VBJB3P). I simply don't have room in my garage for everything. Do you have receipts for the parts? Here are over $19,500.00 of receipts. There are several other receipts that I've misplaced, including the $1,534.88 receipt for the Michelin Pilot Super Sport Tires.2016 Camaro SS LT4 Receipts.pdf(Note: The mileage on the engine receipt was an estimate I provided at the time of ordering. The actual mileage at the time of the install was 1,325 miles. )Does the car require 93 octane gas? The car was tuned with 93 octane gas, so I'd recommend running 93 (or higher) just to be on the safe side. Of course you can always get the car professionally tuned for 91 if you wish. Does the car still have a warranty? My understanding is the warranty on non-powertrain components is still valid. For the powertrain, technically the onus is on the dealership to prove the modifications to the car were the cause for a given failure, but unfortunately this is an easy argument for a dealer to win (whether the modifications were the cause or not). 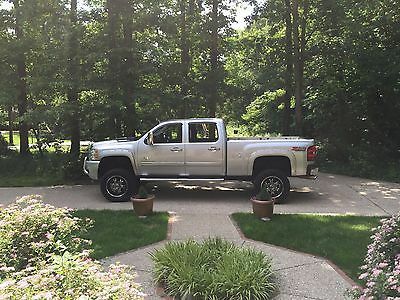 All of the parts are from GM which might help a friendly service manager to overlook the modifications for minor warranty claims, but I wouldn't rely on having a powertrain warranty unless you purchase one through a third-party warranty provider. (Would you really want a dealer to tinker with your 700+ horsepower car anyway? I know I wouldn't.) Do you have a video of the car running? Here's a startup, walk-around, and rev video: https://www.youtube.com/watch?v=QqtiXRkotSE --> Here's a video of it on the dyno: https://www.youtube.com/watch?v=huO794c-gF8 --> If I buy the car will you pick me up at the airport? I'd be happy to do that. I'd prefer that you fly into Clarksburg, WV (CKB) or Morgantown,WV (MGW). Both are within 30 minutes of my house. The other option is Pittsburgh International (PIT). It's about an hour and a half from my house, but we could probably make that work.The rotors look a little corroded. Will this wipe clean? This is just on the surface where I washed the car and took pictures before I drove it. I wiped one of them off and took these pictures. As you can see the rotors are perfect. 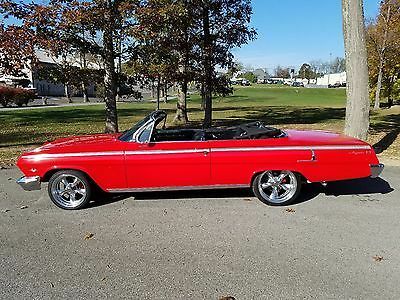 For sale we have a 1962 Chevrolet Impala Convertible. This is a beautiful rust free car and has an exceptionally slick paint job as illustrated in the pictures. This car comes complete with 4-wheel disc brakes, vintage air, new rebuild on the 283 engine and turbo 350 transmission. The car is very dependable and drives out very well. We have performed upgrades such as dual brake master cylinder and upgraded alternator. This car also has a power convertible top and custom 18" front and 20" rear wheels. This is an exceptional car at a fair price! The pictures do not do the condition of the car justice. You are more than welcome to come and test drive the car, we also have a lift on site to enable you to give the car your own thorough inspection! If there are any questions please feel free to contact us at office@ppsatv.com or call Jack @304-32zero-0920. This car is also for sale locally therefore the we as the seller retain the ability to end the auction at any time. Hello to all Ebayers! I have been with EBay for several years and I want to keep my reputation with EBay at 100%. 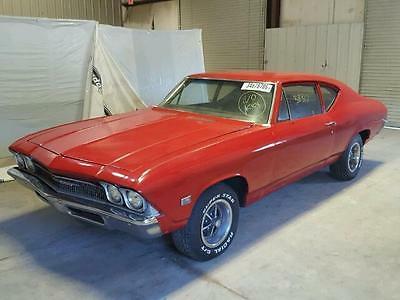 I bought this vehicle with the intention of bringing it to California to add to my collection because I'm into classic cars, but have sold my building and I'm running out of storage room.This Chevrolet Chevelle is located in a Copart facility in Hurricane, WV. I tried to sell it on Copart but this vehicle is a classic clean vehicle and they have a salvage yard so it's not the best place to sell this vehicle there. You can purchase the vehicle through Ebay or you can purchase it through Copart by becoming a member. This car has a West Virginia Title. If you need me to get a CA title for this car there is a small fee included in the process. PRICED TO SELL !!! 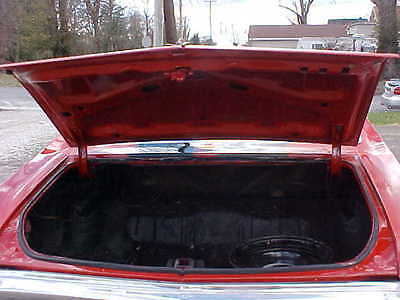 Here is the description I have from the previous owner: 1968 CHEVROLET CHEVELLE 300 DELUXE LOW MILES ? Mechanicals Normal 0 false false false RU X-NONE X-NONE 350 Engine Runs strong and the transmission shifts great Two new mufflers New Holley carburetor New tires New radiator New alternator New master cylinder New plugs and wires New fuel line from the trunk to the fuel pump Fresh oil change Runs and drives great ExteriorVery solid, straight body and the paint shows wellAll doors, hood and trunk open and close as they should All chrome is in very good conditionAll lights work fineThis car is well maintained ? 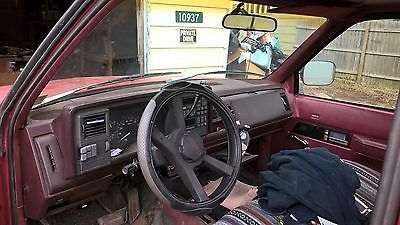 Interior The interior is in very good shapeThe seats are greatNew headlinerNew carpetPush start button All gauges work This is a great classic to drive and enjoy! I have been with eBay for many years and I want to keep my reputation and feedback 100%. I purchased this car with the intent of adding it to my collection but I have sold my building and I'm running out of storage room. Please note, I want to make sure that you are absolutely satisfied with your purchase. Bid with confidence and if you have any questions that I might not have covered in the description, don't hesitate to ask. You can email me or send me your telephone number and I will give you a call. Shipping Buyer is responsible for shipping costs. I can cooperate with your shipper. This vehicle is advertised on other sites so I have the right to end the auction early if it gets sold. I'm not a dealer, just a very passionate collector of classic cars and trucks. Payment Please be ready to buy when you click. A non-refundable $500 deposit is due when the auction ends and final payment within 7 days. Balance is to be paid by bank wire or a certified bank cashier's check. Check will need to clear before the vehicle will be released and title is sent. The winning bidder needs to contact me within 24 hours of auction end to make payment arrangements. Please arrange all financing prior to bidding. If you are not sure about something, please ask. Do not assume anything. I'm very easy going and will help in any way I can, but please be absolutely sure that you are ready to buy when you bid. All non-paying bidders will be reported to eBay. Disclaimer People have different opinions and expectations of older cars. It is your responsibility to inspect the vehicle or send a third party inspector for your satisfaction. Remember, this car is from 1960's and can have some imperfections that are not in the description that I'm not aware of.I had a bad experience with a ruthless dealer that wanted to buy a classic from me and triple the price the next day! If you are buying and paying for this vehicle, please contact your transporter after vehicle is picked up and within the 2 hours please give me a positive feedback!This is your chance to own a great classic at a great price. 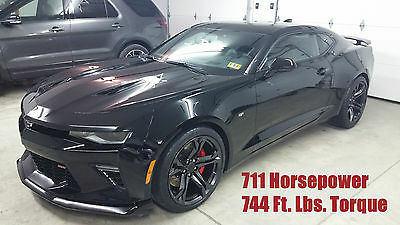 2017 Chevrolet Camaro 1SS 1LE track car! Only 5 in WV and we have them! 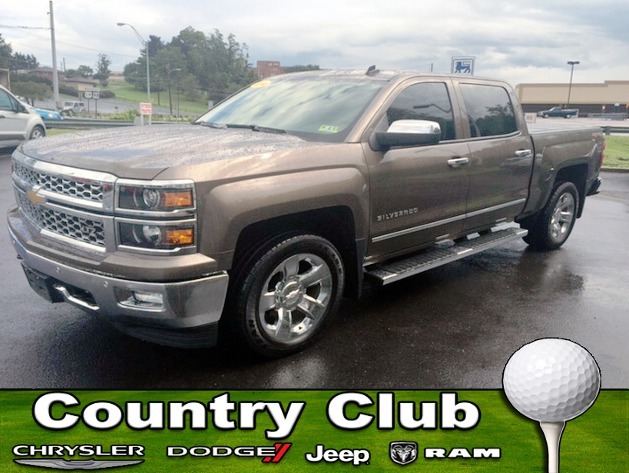 Call James Cooper @304-962-2421 or jcooper@hurricanechevrolet.com for more details. The engine runs like a dream. Low miles 74,097. Majority are highway miles. Has 4 brand new tires with zero miles. Needs minor repairs to brake and power steering lines. No rust on underside. Has been garage kept for 99% of the time. Has an alarm. It had regular oil changes every 3,000 miles. The car has been good to me for years. I don't want this car to fade away! Needs a good home with a little TLC. 2010 Custom 2SS/RS Camaro, 6.2 , 6speed automatic, Borela catback exhaust, Lambo doors, tilt front hood, Razi ground effects body kit, custom painted stripes, after market rear spoiler, custom front grill by Rick Bottoms, hideaway headlight covers, custom anodized engine bay dress up components, custom painted hood and trunk liners, sequel afterburner taillights, custom upholstered headrests. 8300 miles garage kept never been in snow and in rain one time. Original Owner. Buyer Resposible for pick up or delivery. $500.00 non - refundable deposit upon Buying to be deposited in Pay Pal Account. Full payment due (7) seven days. after buying. This car has all new weatherstripping, tires, wheels, window regulators, starter, alt, belts, hoses, fuel pump, mufflers, brakes, jvc stereocd player, cooling fan, fuel ratio control valve, new shocks, thermostat, great on a trip, 26-28 mpg. Runs strong and drives great, ac converted to R134 and is cold. Great car, just sits in the garage to much. As you can see in the pics it was painted the right way. The first pic was the car before it was painted right on up till it was completed. Car can be driven anywhere. I have had it to South Carolina and Indiana myself and it runs and drives great. 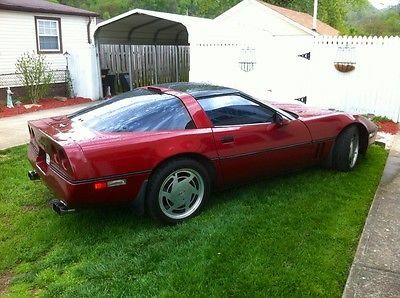 Value on these C-4 Corvettes is starting to go up now to. This one if appraised would probably go for more than I am asking. A lot of money has went into this car and that's why it is what it is. Nothing was skimped on. This is a great car quiet running use no oil, it has auto or manual shift cold air ,It has had new brakes and rotors, battery, It has had some mishaps on the body shown in the pictures. The right rear upper panel was bent by another car backing out of a parking spot and the front lower shroud is cracked, the rest of the body is in great shape. 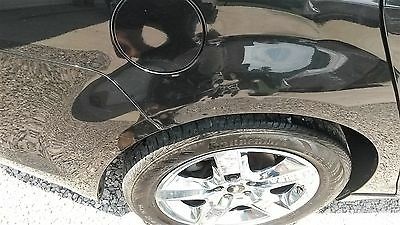 There is a rubber hose on the cooling line that may need replaced in the near future ,that's it .It's a great traveling car and may have a little warranty left. 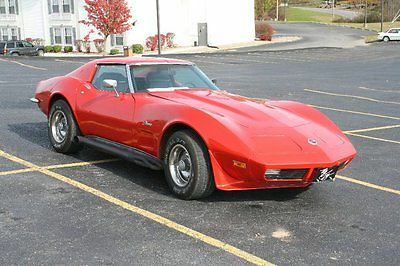 1973 Chevrolet Corvette Stingray, V8, automatic transmission, T-Tops, Side pipes, Rally Wheels, red with black interior. Beautiful vehicle! Fun to drive! Perfect for the budding Corvette collector! 1986 CHEVY K10 4X4 This truck has lived in TN its whole life and sold to me as a two owner truck. All original body panels with one repaint laser straight no evidence of any body filler or damage. The truck has 131k miles but runs drives and shifts smooth and exactly as it should every gage works 4x4 work smooth. No shimmies, shakes or rattles. 305 V8 4 SPEED! Runs great and pulls strong and shifts smooth… AC blows cold and has be upgraded to the latest Freon. The frame is in incredible shape never painted on or patched in any way. DRIVE IT HOME!!! !NO MATTER WHERE..... PRICE REDUCED TO $13500.00 FIRM LAST LISTING THANKS FOR LOOKING!! !